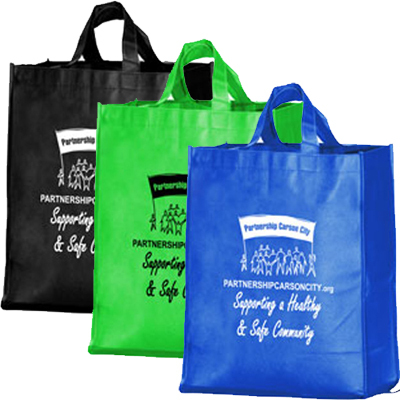 Increase the effectiveness of your marketing campaign two-fold, with these promotional Folding Grocery Bags from Promo Direct. You can store these grocery bags easily by folding them. 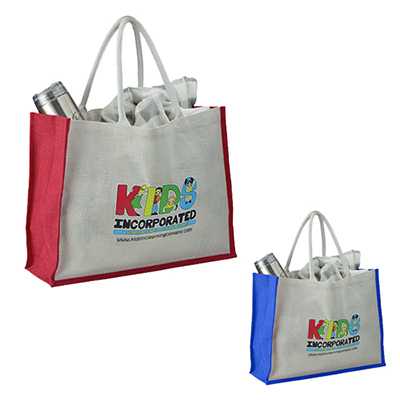 A small square unfolds into this spacious promotional product that is 100% recyclable, reusable and ready to take to the market. 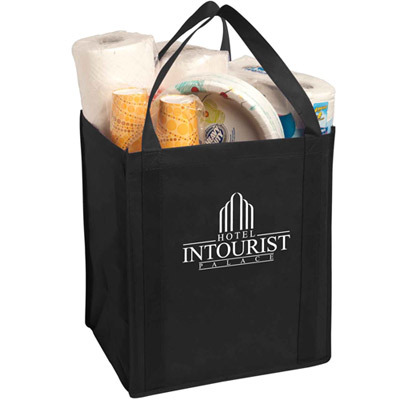 Reduce plastic use and increase your brand awareness by investing in these convenient promotional Folding Grocery Bags TODAY! "Got these bags for my stores. " 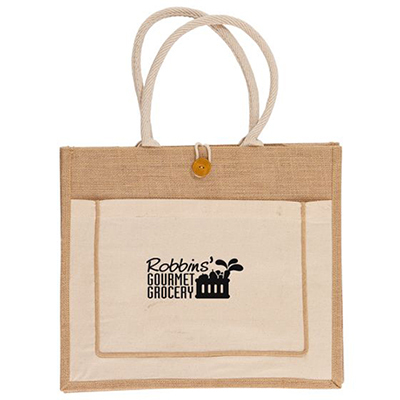 A great eco-friendly tote to take to the market!